Peter Treanor is well used to it at this stage. All's going well, his first sharp is as any of them and then he's asked where he's from and things change. 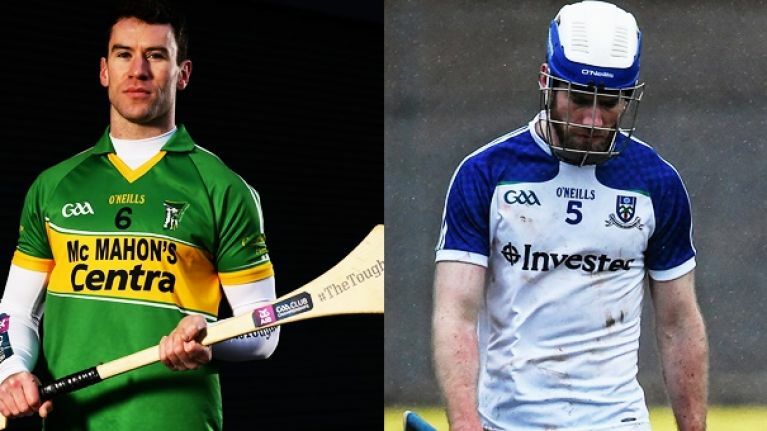 Being a hurler from county Monaghan, they're the conceptions you have to face every time you take a step outside of the county with a hurley in your hands but the Castleblayney man absolutely relishes the doubts and he welcomes the doubters. 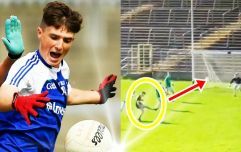 Every hurler from the so-called weaker counties knows the feeling - sometimes, they look down at you on purpose, sometimes it just happens naturally and unintentionally but every single time, lads like Peter Treanor use it as a fire to line their bellies. “Ah yeah but you kind of expect that too, but I get a buzz out of going out and trying to prove people wrong, listen every game I play, I go out with a chip on my shoulder," he says to us ahead of the AIB All-Ireland junior club hurling final. He attended St Pat's Drumcondra, a former hurling stronghold before they were taken over by DCU and though the general, initial doubts were there about a hurler coming from Monaghan, he'll never forget how the great hurling men of Dóchas Éireann - men like Tom Fitzpatrick, made him feel welcome. Kilkenny hurler Enda Morrissey was a year above him in Coláiste Phádraig and with the elders taking charge of the freshers and the college's teams, Treanor will always remember the Bennetsbridge honesty as a teammate. 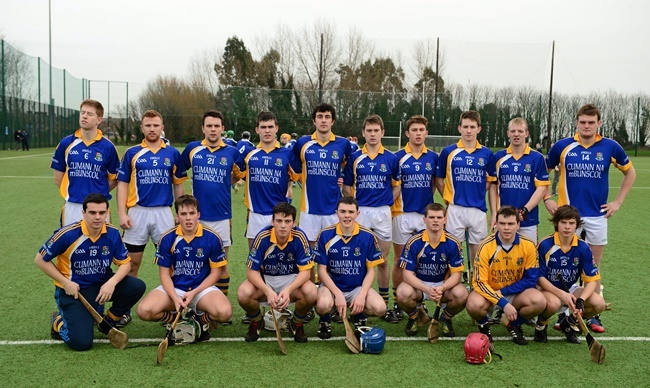 Morrissey, second from right in the back row on the St Pat's Mater Dei Fitzgibbon team in 2014. “I really enjoyed mixing with the lads down the country and getting the chance to play with him, He’s from Kilkenny (Enda Morrissey) and he’s a Kilkenny hurler but there are no airs or graces about him or any of the other lads.., he’s so down to earth." Treanor's grá for hurling started well before his Pat's foray though, in the fields of 'Blayney' on Sunday mornings. “I just wanted to play myself, there wouldn’t be much of a tradition in my own family...But what got me started in the hurling was Noel McGuigan - a hurling legend around Castleblayney - I would have went to school with his son, so he was basically just getting everyone into playing hurling...Himself and Mickey Byrne, I remember going down to their training sessions and there were two religions for me - Mass on a Sunday morning at 10 and straight to the pitch after for (hurling) training at 11…"
And though football will always be number one in Monaghan, the Castleblayney hurling captain sees no reason as to why players can't pursue both - as himself and his brother both have. 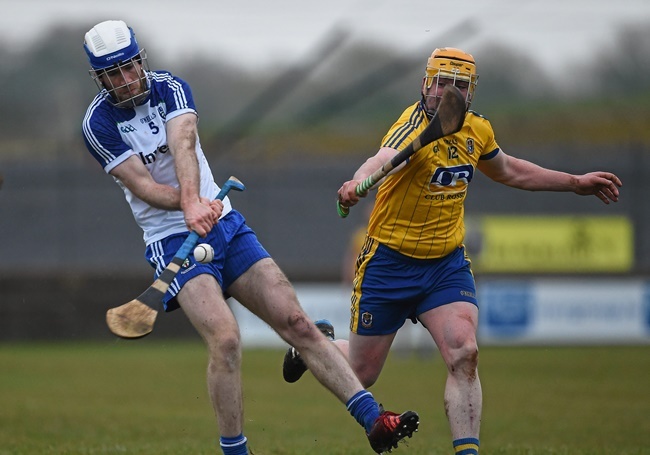 Though there's still plenty of work to do for hurling in Monaghan to improve. “I was thinking about that myself during the week, the club is at its highest peak, up in Croke Park here...But on the wider scale, you’d be codding yourself if you said hurling in Monaghan was in a great place...Last year, two clubs amalgamated so they could field at senior level...A couple of years ago, another team stopped fielding teams at senior level, but on the whole it’s not great...there are a few signs there so hopefully us getting here will help to get it going more. 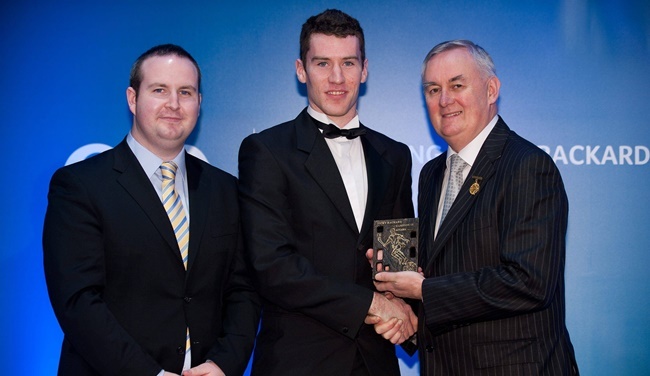 "Sometimes when you’re younger, there is that push to football but me being a bit stubborn - if you push me one way, I’ll go the other, I went towards the hurling and I’m grateful for it now, I still play a bit of football as well," says the 2012 Nicky Rackard All-Star. 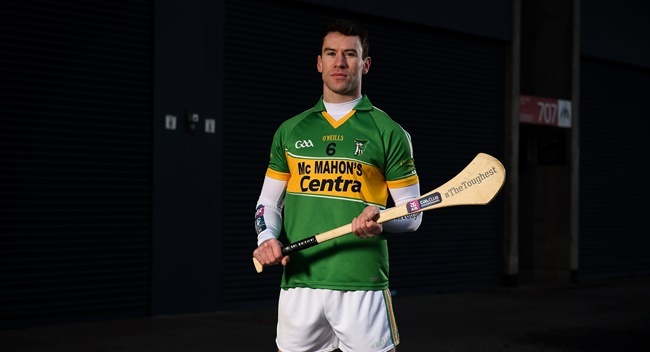 Grateful because this Sunday, him and his clubmates will line out in the club's first ever All-Ireland hurling final, when they take on Kilkenny champs Dunnamaggin in Croke Park. “We’ve never seen anything like it back at home, we’re the first Castleblaney team to play in Croke Park in hurling or football. “It’s always the dream, I suppose after a couple of years, the dream starts to fade but in fairness, our two managers Jim Lacey and Barry Redmond - they were very honest about wanting to get here at the start of the year and they’ve instilled that belief in the whole squad. "When you’re in an All-Ireland final, whoever you’re up against is going to be tough, we’re there on merit, we’ve been underdogs most of the way through. We’ll give it our best and if it’s good enough, great, if it’s not, we’re just trying to do ourselves and the town justice and that will keep our heads up high." No doubt they'll give it their best shot anyway. Peter Treanor of Castleblayney in attendance ahead of the AIB GAA All-Ireland Junior Hurling Club Championship Final taking place at Croke Park on Sunday, February 10th. For exclusive content and behind the scenes action throughout the AIB GAA & Camogie Club Championships follow AIB GAA on Facebook, Twitter, Instagram and Snapchat. Croke Park, Dublin.